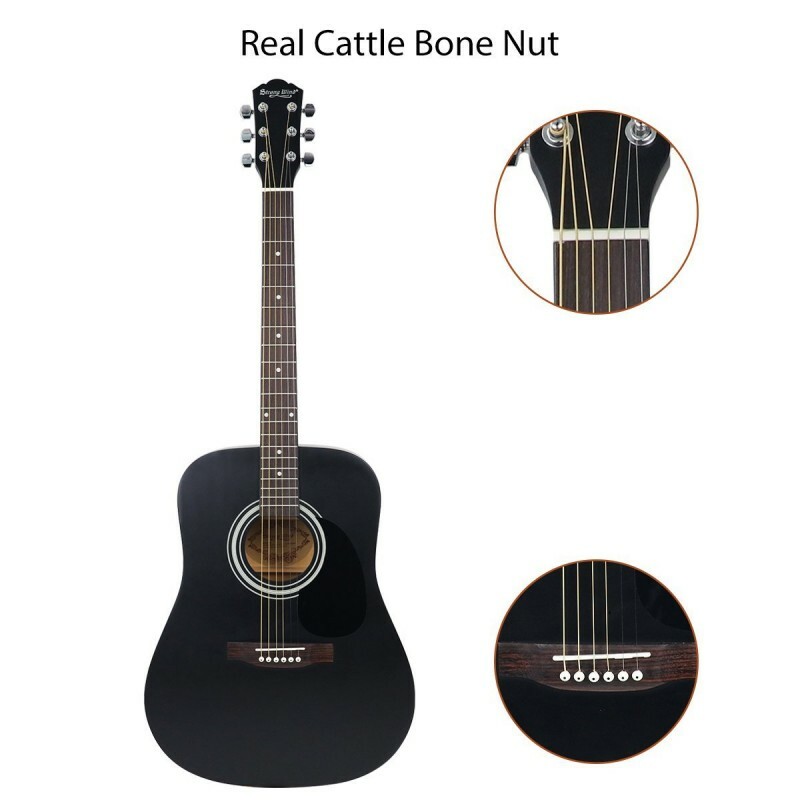 FULL SIZE 41" ACOUSTIC GUITAR: 41-inch full size beginner acoustic guitar, perfect size for adults, student guitarist and children over 11 years old. This black guitar also have position marks on 3th, 5th, 7th, 9th, 12th, 15th, 17th frets, which allow you to change frets easily. 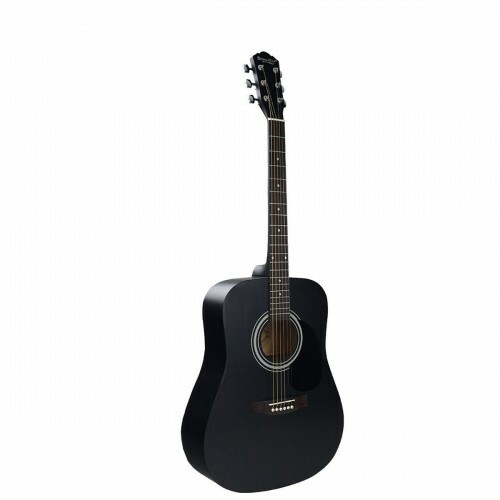 REAL WOOD MUSICAL INSTRUMENT: This steel string acoustic guitar features a sturdy and full-size dreadnought body with laminated basswood body, maple neck, rosewood fingerboard and bridge with semi-closed chrome, black matte finish. Thee solid basswood body produce a smooth, rich, full and vibrant sound. 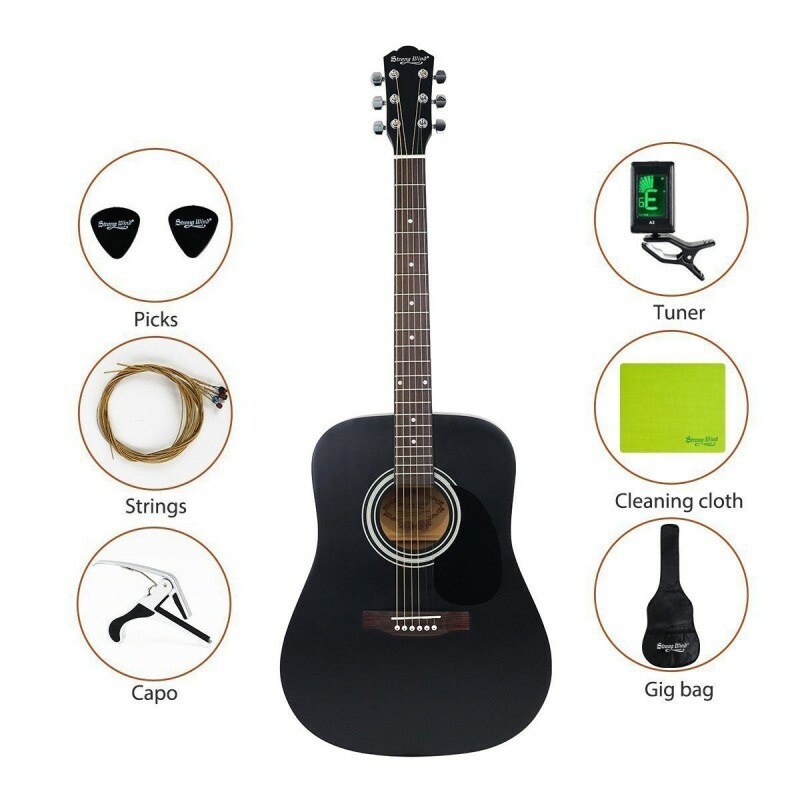 EASY TO TUNE: With the provided E-tuner, it is easy to handle and help you tune your guitar correctly. 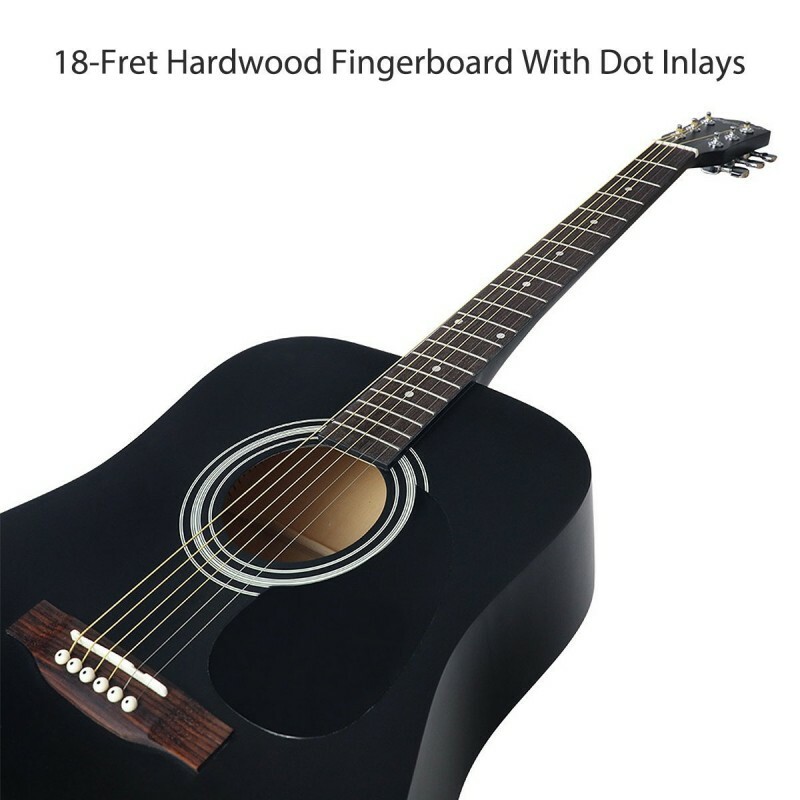 Solid and durable construction gives your guitar a good tone and a comfortable action. Easy to play for a beginner or a experienced player. SMOOTH TUNING PEGS: The pegs on this travel guitar are smooth and well made. 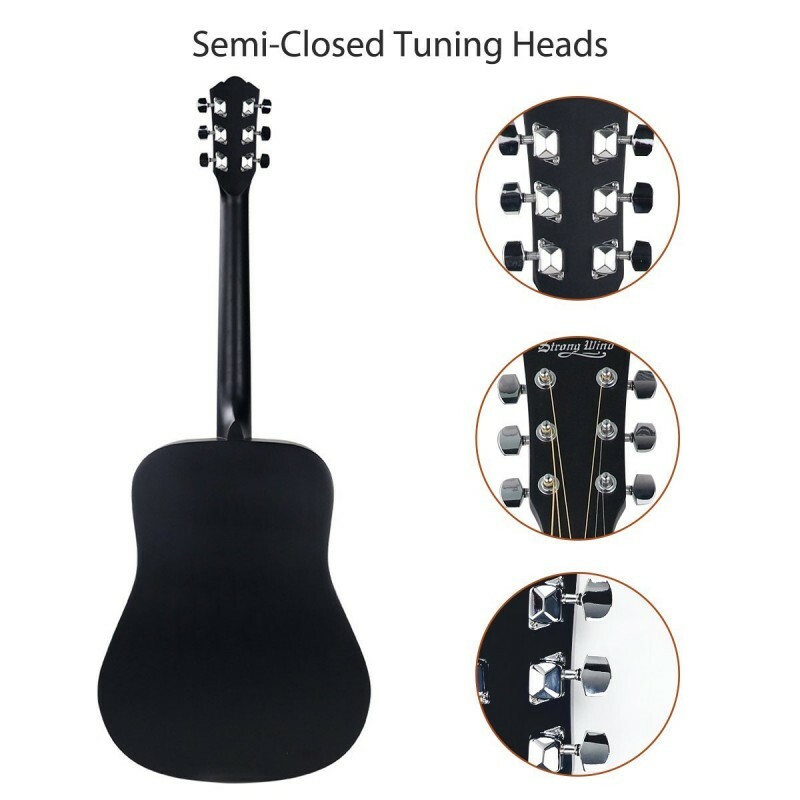 It is easy to adjust with the chrome geared tuning head to keep the guitar stay in tune. Smooth tuning pegs help a lot for people who are learning acoustic guitar on their own. As professional musical instrument manufacturer with 30 years’ experience in research, design and production. 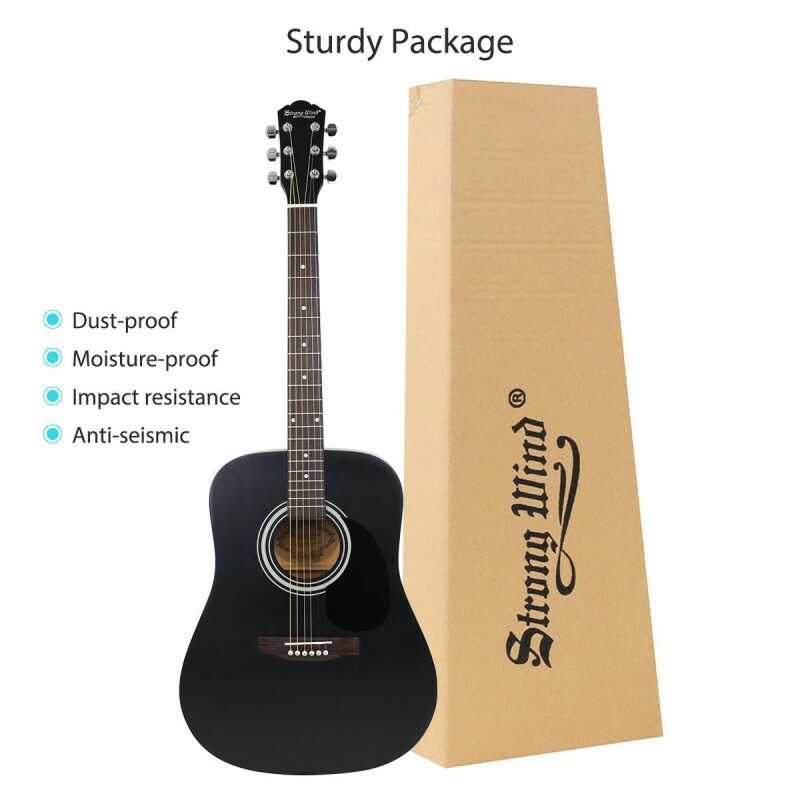 Strong Wind provides with a great variety of acoustic guitar, classical guitar, electric guitar, ukulele and related accessories. 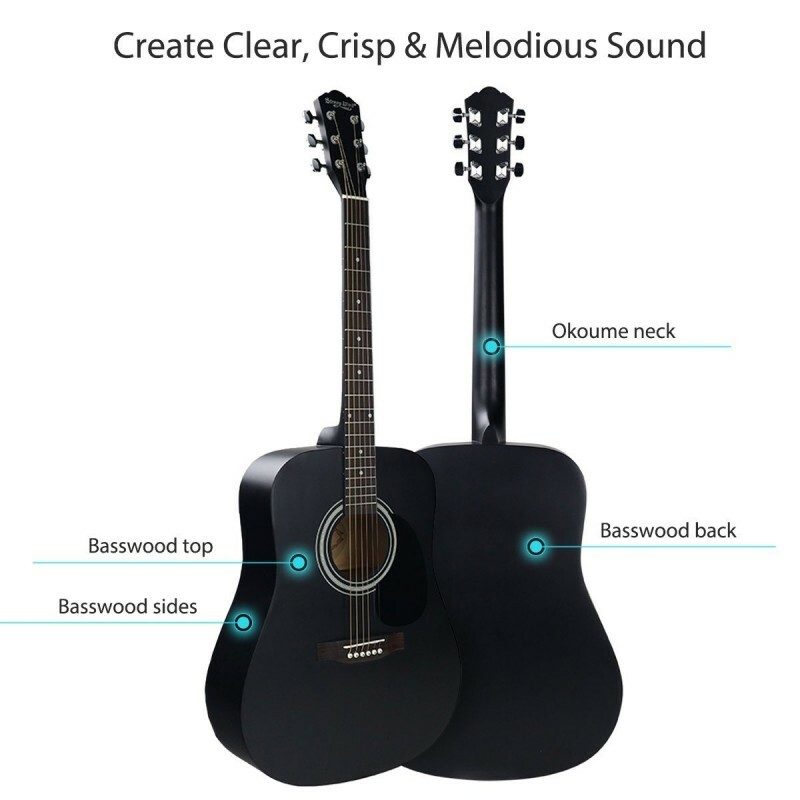 The 41 inch acoustic guitar features basswood body and offers warm, vibrant sound.Also delivers a great tone and resonance to player.The guitar would be great for a stater to intermediate player.This is a great guitar pack and comes with everything you need.It can become a go-to travel guitar.